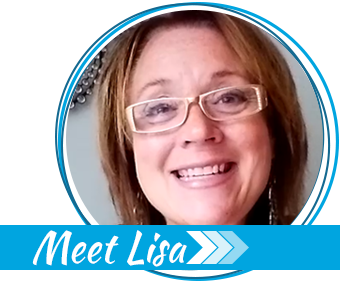 I get a lot of questions about the types of wheat and grains I use in my own cooking and food storage. 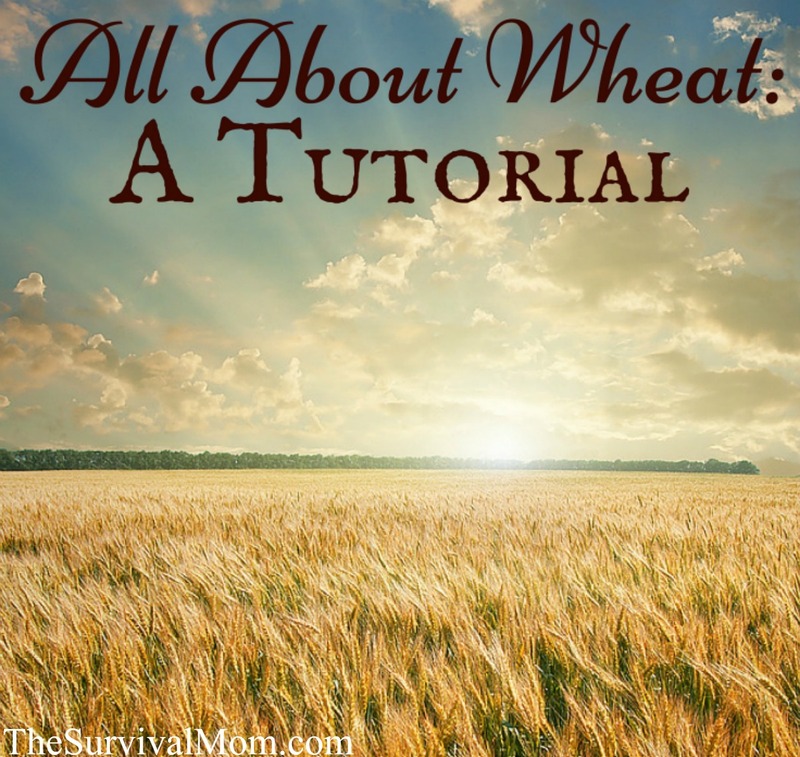 Today I have some basic information for you about wheat, but each Friday I’ll be featuring other grains, like oat groats, kamut and quinoa, and how to use them. 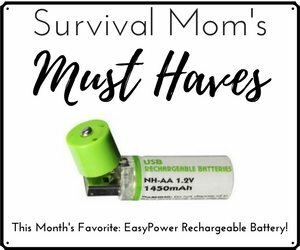 Subscribe to TheSurvivalMom blog so you don’t miss anything! There are three types of wheat I use most often around my house. This is your basic bread flour. You can get both hard red wheat and hard white wheat. Both have a high gluten and protein content that’s necessary to give both elasticity and strength to your bread dough. Hard white wheat is lighter in color and flavor than hard red wheat. Hard red wheat is what most people think of when they think of a hearty loaf of whole wheat bread. It gives bread a strong wheat flavor and is darker in color. Red wheat is a little harder for the body to digest than white wheat. Which one you use is just a matter of preference. Soft wheat is all-purpose flour. Sometimes it’s called pastry wheat. It’s used to bake everything except bread. Lower in both protein and gluten, it allows for a much lighter baked product than hard wheat. 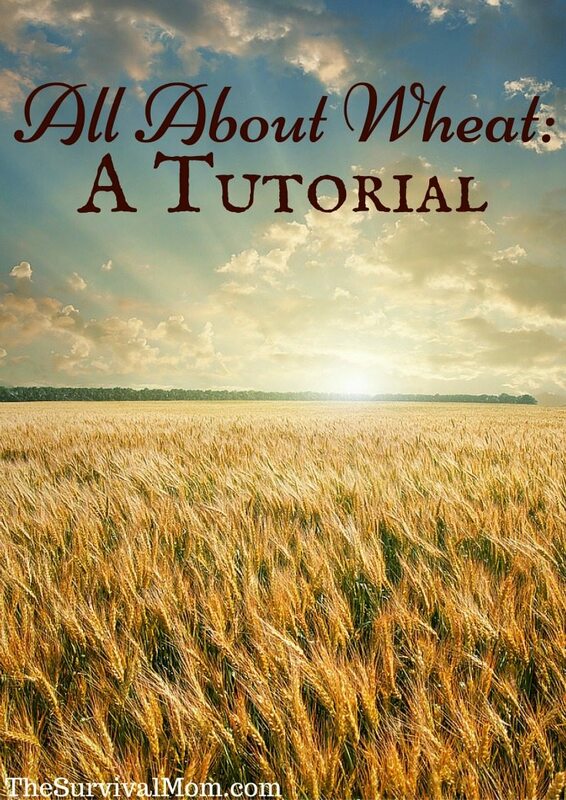 Whether you’re baking cookies, pie crust, or biscuits, soft wheat is the wheat to use. If you’ve been using store bought all-purpose flour, just replace the flour with ground soft white wheat in any recipe. Durum wheat is also known as semolina. It’s the hardest wheat of all and is used for making pasta. I store durum wheat because of it’s long shelf life of 30+ years versus the shelf life of store bought pasta, two years or so. Large #10 cans of pasta purchased from a company such as Walton Feed will last up to 20 years if properly stored. I store a larger quantity of whole grains than flour because of shelf life. White, all-purpose flour has a shelf life of 5-10 years, but whole wheat, when stored in air-tight containers, has a shelf life of 30+ years. For those of you who have been considering storing wheat as part of your long-term food storage, I would suggest starting with small quantities of both soft and hard wheat Before making a big investment in 45 lb. buckets, find a grocery store in your area that sells these wheats in bulk. Buy a couple of pounds of each, grind it, and bake up some goodies to see what you prefer. If you do purchase wheat in those big buckets, 45 lbs. of hard wheat will yield at least 50 loaves of bread. Happy baking! 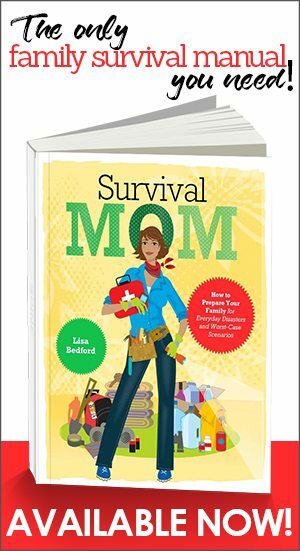 Come visit my new blog, Survival Mom’s Thrive Life Fan Club for more great food storage tips and tutorials! difference than your white wheat, but I think it's way better than store-bought. There are a few things that can affect your enjoyment of the pasta. If it's too thick, I think that would be unappealing, pretty "gummy". Also, maybe you could try a different recipe. Some only have water and salt, but I like it with some olive oil and egg. Hope that helps! I agree that whole wheat pasta from the store is disgusting, I like home-milled durum quite a lot though! It's taken a couple of tries for me to get my pasta right with it. For starters, know that durum is high-gluten, and so if you add eggs to it, it will be too thick and hearty for italian pasta. Great for stews or German noodles, maybe, but not for spagetti, etc. Give it a try–we really like it; we taste a BIG difference! Where is the best place to purchase wheat and other grains? I'm in Texas and would love to be able to find some place I can drive to and pick it up instead of spend a mint on shipping. Any ideas? Matt, another reader pointed out that http://www.honeyvillegrains.com charges only $4.99 for shipping. You can't beat that and could easily spend that much money in gas driving to pick up your wheat! You might call a nearby LDS church or cannery and see if they know of a local source. That's another option. In 1999, we bought the 6 gal containers (pre-filled) with rice, beans, red & ??? wheat flour, and sugar preparing for any Y2K issues. These plastic containers were kept inside our air conditioned N Texas home for years. At some point they were moved to a room in the garage for several years. I would appreciate your thoughts on the food in the containers (ie probably stale, but edible or whatever). 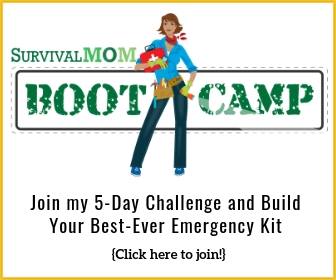 If I can work them in the food plan, it means a lost less cost and planning. Your food was likely perfectly fine while it was in your house, even after several years. Now that it has been in the garage, it’s likely ruined. Heat is the worst enemy of stored food. By now it has lost a lot of its nutrients, flavor, color, texture. You could try opening a container of each type of food and give it the sniff test. If it doesn’t smell “off” or rancid, try cooking a small amount of it. The beans and wheat are likely a lost cause because of the heat. The rice may be salvageable because rice isn’t a super nutritious food to begin with. The sugar, if it hasn’t been ruined by moisture, may be the one food still usable. You said that soft wheat (all purpose flour) is used to bake everything except bread. Why? I only use all purpose flour (unrefined) in all of my baking, even bread and my bread comes out just great, soft with a good rise. I used the bread flour before when the store was out of my all purpose flour and I did not see any difference in my cooked bread and it’s cheaper than bread flour. In fact it is the only flour that I buy. And yes for pasta too. It makes great ravioli and linguini and my husband is Italian and likes it (he’s the house food critic). So I’m comfortable with only needing to buy one flour that does it all.